NOTE : most of the photographs below are hot-linked to a corresponding page in the pre-pro.com database. 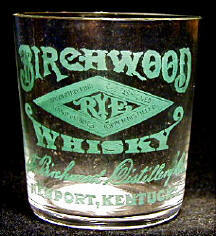 Just click on a photo to see more detailed information on a glass and its origins, then use your browser's "Back" button to return to the article. 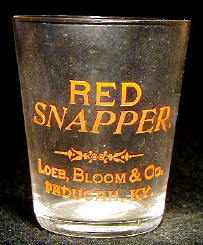 In this issue, Random Shots will take an in-depth look at a shot glass collector and his extensive collection of Louisville and other Kentucky glasses. Paul Van Vactor gives some insights about the origin and growth of his collection. 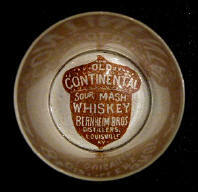 A long time collector and antique dealer, he's a native of, and still resides in, Louisville. 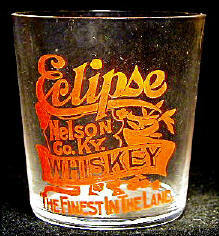 He and I both would like to thank Robin Preston for the painstaking photography of the glasses shown here. This issue contains only a sampling of Paul's collection. The entire collection can be viewed in the database at pre-pro.com. 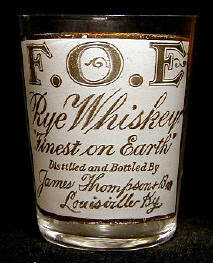 By the way, Paul is one of the few dealers left who still do periodical sales lists of their glasses and bottles. It's a nice, leisurely way to augment a collection. 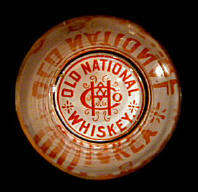 Q: Paul, what first got you interested in collecting pre-pro shot glasses? A: Over thirty years ago, I subscribed to a magazine called WESTERN COLLECTOR. 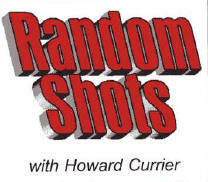 I remember the issue arrived on Saturday and I read this story about shot glasses written by Bill Gaylord. 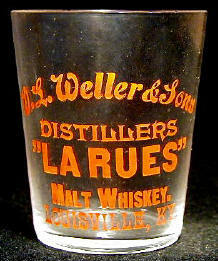 Immediately, I drove to downtown Louisville to hit some antique shops and found my first shot glasses - one was an "Old Drennon" from Louisville and a "Lick Run Sour Mash" from Cincinnati - several others. That was the start. 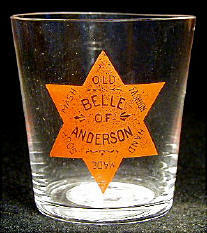 I saw Bill Gaylord at an auction in Sacramento about fifteen years ago and I thanked him for writing that series of shot glass articles.